The scarf has a taupe center, two shades of orange come next and watermelon along the border. The coordinating earrings hang 2" from the finding loop. 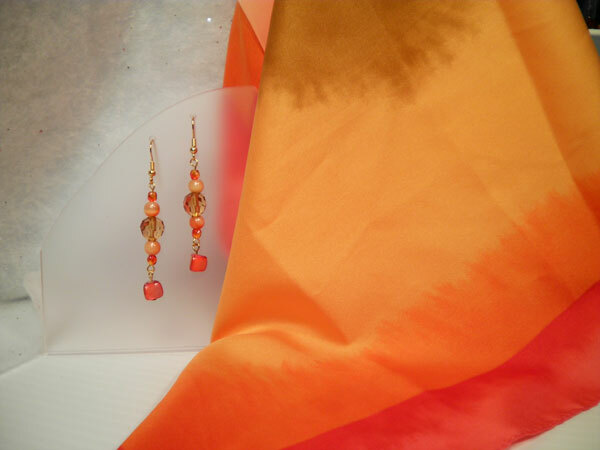 The top section has a taupe colored faceted acrylic round with orange glass rounds on either side. Surrounding those are faceted orange ovals. The bottom dangle is a melon colored mother of pearl chip.